← thank you friday: 1, free, friends, nyc. sarah silverman and a flea. 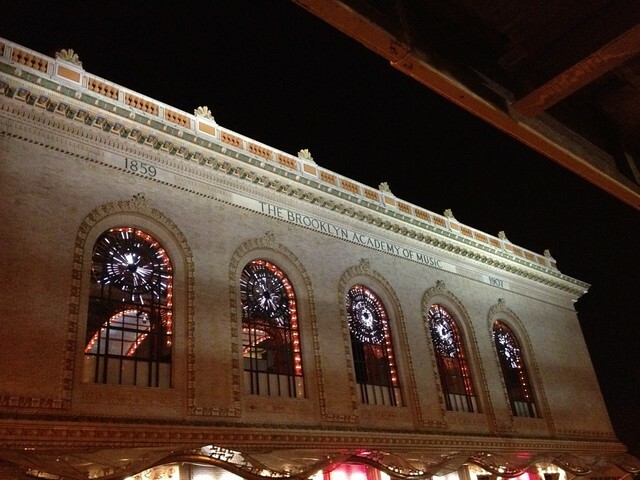 New York Comedy Festival. Even this photo of the inside of the theater before any performer set fot on the stage was prohibited. Seriously, the ushers were strict anti-photography! This policy made me sad. You know how sometimes you have a plan to go somewhere or see someone and then something else really awesome takes hold of your day? 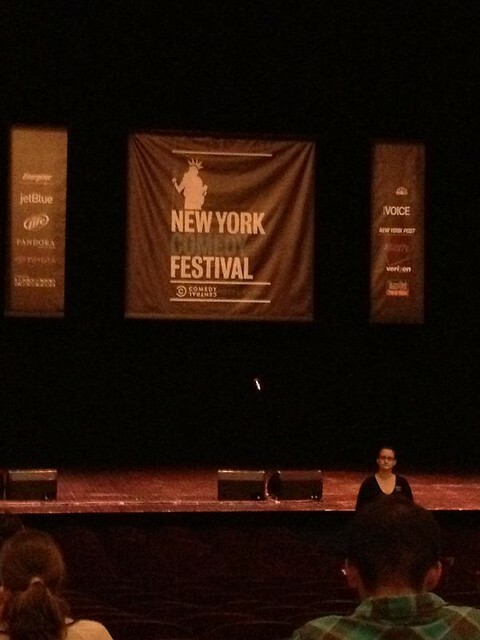 We had tickets to see Sarah Silverman for this year’s New York Comedy Festival. I was super excited ’cause she’s hilarious but also because it was going to be at the Brooklyn Academy of Music or BAM! I hadn’t been there yet and it seemed like an awesome place. I couldn’t figure out why Paul was so intent on getting us out so early, the show was at like 8 and we were on a train before noon! Soon enough though I realized we were off the train at the Fort Greene Brooklyn Flea! Which, seriously, who doesn’t like a good flea?! and in the warm November weather we’ve been having it was just perfect. Right off the bat I found several pairs of glasses that I was head over heels in love with. Choosing new frames is the kind of thing that I am horribly indecisive at. I can sit on the Rx for 1/2 a year before committing to something but this was so easy. They had a huge selection of frames that fit! AND they didn’t have some gaudy brand plastered all over them for me to wear on my face. It occurs to me that many readers here might be wearing glasses with brands on them, that’s cool. My old Calvin Kleins which just broke in my hands on my way home from work a couple weeks ago had the brand on them too. And it looked great, I loved them but I’m trying to move on. I bought 2 pairs straight away and haggled the price down a touch (hey, it was a flea!) and got the name of their recommended optometrist in Chinatown no less, to get the lenses put in. I can’t bring myself to chuck my beloved broken glasses yet though. 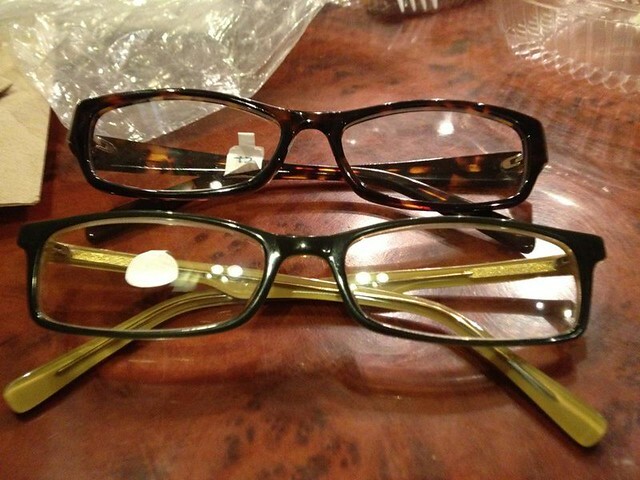 my old glasses. 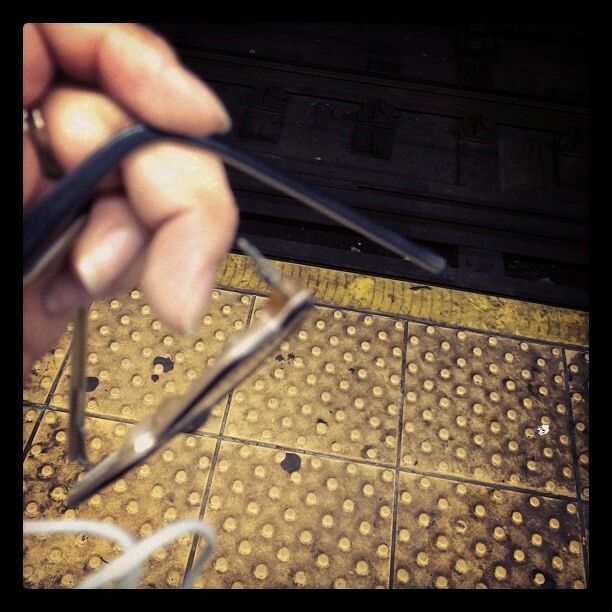 they broke just as I was wiping a bit of smudge away from them on the platform. I had to ride the rest of the way home with only one earpiece. It serves me right, they were several years old and I was just stubborn about getting rid of them. 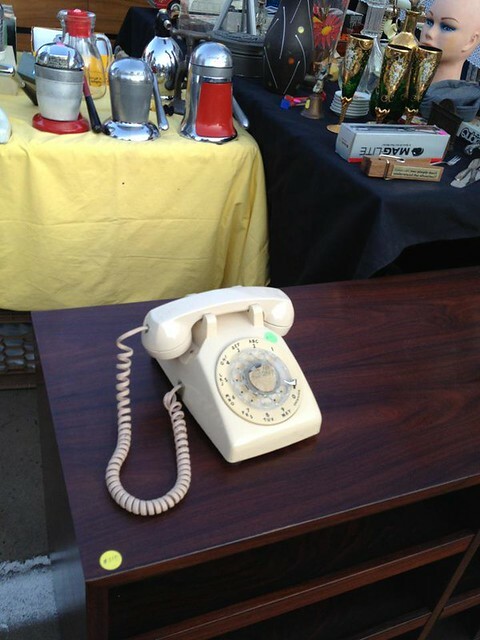 Later I saw a little girl trying to play with an old rotary phone and very angrily asking how it works. “How does this work? !” she kept asking her family before she finally slammed the receiver down and stormed off in a major huff. Her confusion was ridiculous and highly entertaining. I know my seven year old goddaughter probably wouldn’t know how to use a rotary phone either. I look at that and look at my iphone and wonder what communications will look like in a few more years. It really wasn’t so long ago that my mom had this very style of phone in the family home, she still has one in this shape but has buttons in place of the dial. It’s oddly comforting to use it when I visit. Whatever is next, I’m sure someone will be selling the old stuff at the Brooklyn Flea. My husband and I really enjoyed perusing the racks of overpriced t-shirts meant for hipsters to wear ironically, I’m sure. 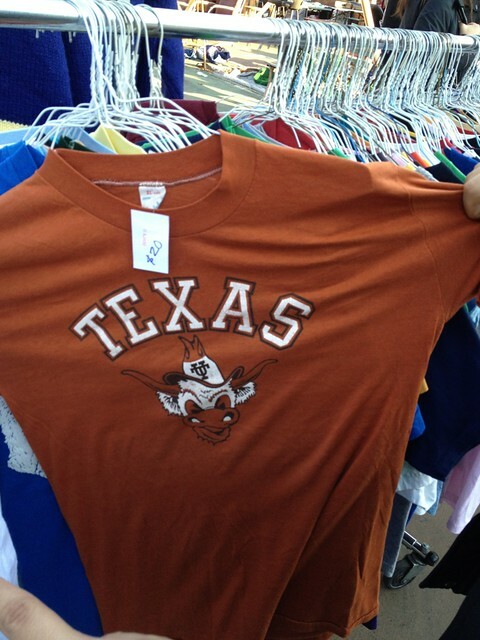 There was one from my alma mater selling for $20! I thought at those prices I could buy a new macbook pro by selling my burnt orange collection (says the woman who purchased 2 pairs of likely used frames at the Brooklyn Flea). I wonder why my lovely friend Jennifer & her Hipster’s Guide to Indifferent Exercise would say to that! The Fort Greene location was outside but the vendors told us that in two weeks they’d be heading indoors so my winter flea adventures can continue! Am I nyc flea crazy? 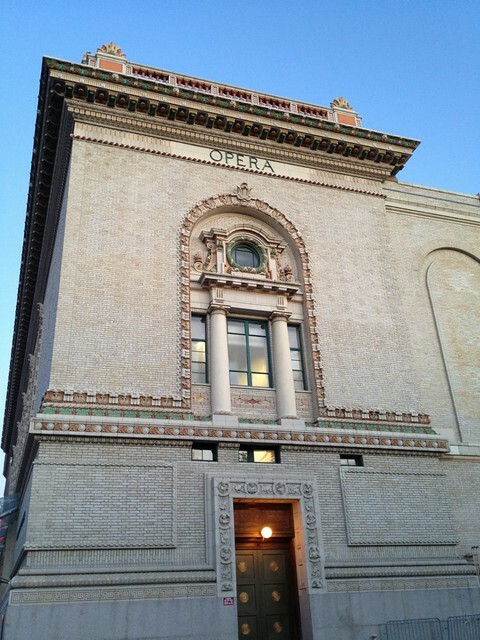 Brooklyn Academy of Music. I totally must return here! There was a bar and a cinema and a lots of cool things going on here. I think I forgot to mention that the Sarah Silverman show was awesome. She was the MC so she did all her bits before and between the other acts. Somehow I still expected her to come back and do a final set but nope, Reggie Watts thoroughly confused the audience and then the house lights came up and she didn’t come back. Don’t get me wrong, I love Reggie Watts, I saw him on Conan’s The Legally Prohibited from Being Funny on Television Tour while I was in San Fransisco for a conference and he was awesome, but on this night his comedy/act was above my head mostly. BUT let me tell you, I laughed (despite trying not to) when Tig Notaro pushed her stool across the stage. So, that maybe tells you where my comedy standards are? Kumail Nanjiani also really brought it with his slaughtered-snake-at-a-kids-birthday-party-where-normally-a-monkey-would-be story. Nate Bargatze’s story about the necessity of being a clown before transitioning to being a magician was hilarious. This entry was posted in everything i've blogged, locations and tagged Brooklyn, comedy, Flea Market, theater, weekend adventure. Bookmark the permalink. 2 Responses to sarah silverman and a flea.